At an operating weight of nearly 5,000 lb. 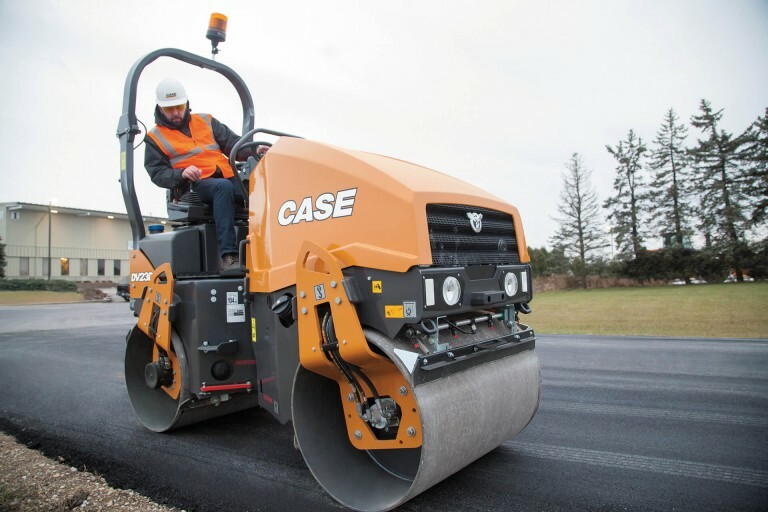 and with a hydrostatic drum drive and standard dual frequency, the 34-hp DV23D packs premium performance into a compact frame that's ideal for small asphalt applications. With its intuitive, ergonomic controls and excellent sightlines, operators of any skill level can easily achieve consistent compaction throughout each and every pass, saving time on the job. And the low-maintenance Tier 4 Final solution meets emission regulations with minimal involvement from operators.